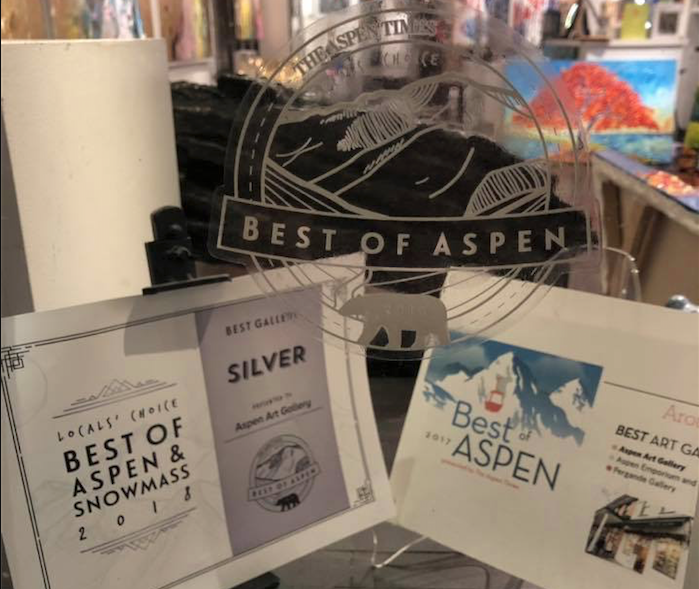 "Aspen Art Gallery's success is real, and so is Local ringmaster Damian Guillot"
My favorite gallery to visit when I'm in Aspen. Damian and Ben are incredibly welcoming and genuinely love what they do. A great selection of art from some of the best established and up-and-coming artists in the world. I'd highly recommend visiting when in town, whether you want to buy or browse. Click to discover what is in our front window right now! The Most powerful Art... The best Stories! Read our blogs! "I choose all of my art personally. If I don’t love it, I can’t sell it. I have a very eclectic collection compared to most galleries." Where Pop stands for Glamour. "Creative expression is peace, is love, is life to me."